A: “When we clear stuck energy from our past, restrictions that no longer serve us won't last.” ~Donnarose Melvin. In your particular case, the fear is from feeling unsafe to connect with your gift due to persecution from carrying it out in past lifetimes. As a clairvoyant and medicine woman, you were majorly condemned in your community, so the fear made sense in your past lives. But in this life, spiritual work of this nature is greatly received, and some are even sharing their work on TV and social media. It's widely known how this work helps millions of people. If you allow yourself to release your fear since it relates to your past lives, the freedom from it will allow you to use your gift to help guide you on your soul's path. And as time goes on, you may even start feeling comfortable sharing messages you receive for others. Just be sure to always surround yourself with Archangel Michael's beautiful blue light, so the integrity of the messages coming in stays intact. This is actually a common issue regarding relationships. Even being a nice person, what often happens, is much of the let down and disappointment energy, whether from childhood and/or even as adults, if not cleared out, gets carried into the next relationship, job, etc. Additionally, when we have disappointing experiences, it tends to lower our vibration. And what resides at a lower vibration is unworthiness, depression, self-criticism and self-blame, feeling lonely, unloved, etc. Carrying the past disappointment energy, and living at this lower vibration, will tend to bring matching lower vibrational treatment to your relationships and encounters. And if nothing is done, this treatment will continue. The good news is you're at the point of realizing you no longer want to accept negative treatment. This is half the battle already won. 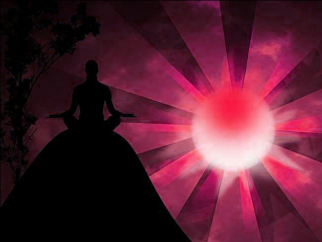 And with this desire for change, comes the next key step which is to raise your vibration. 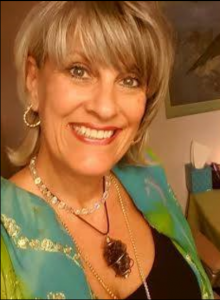 Donnarose Melvin is a professional intuitive medium, and also does powerful distant energy clearings. Her knowledge from her BA degree in Psychology, along with her natural intuitive gifts, have helped thousands achieve increased peace and success. Please send your questions to: Donnarose1010@gmail.com or Facebook private msg her at Donnarose. She will select questions each month to share with you. Donnarose regrets that unpublished questions cannot be answered individually. If you’d like an energy clearing, or an intuitive reading, please contact Donnarose at the email address above.